Usually when we go on vacation the hotel while important is secondary to the attractions. 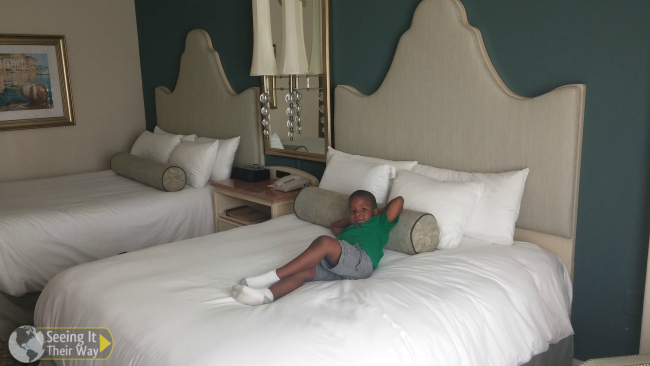 But on our recent visit to Universal Studios Resort with the Family Forward Conference our accommodations at Loews Portifino Bay at Universal Orlando was a major part of our source of fun. Immediately upon our arrival we were embraced by its beautiful atmospheres that just screams Italy. The staff was amazing and made checking in a breeze and informative. Upon entering our room the entire family immediately made them self comfortable. The bathroom was massive and supplied plenty of storage for us to organize our belongings for our stay. 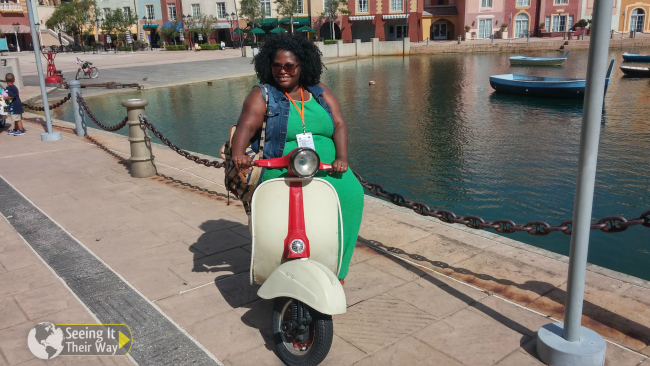 The beds were comfy and the decor stunning, but the view stole the show it was as if we were positioned right on the seaside of the village of Portofino in Italy. During our stay we enjoyed the convenience of the many shops, several restaurants (including Starbucks) and three pools that they have on site. The pool was definitely a huge hit with the boys. One of which had a beach like entrance and a waterside that my guys couldn’t get enough of. 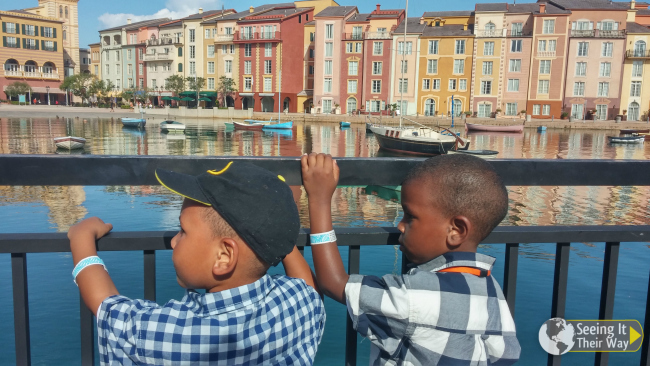 We were lucky enough to have our own little photography session at the pool with Studio Fotografico, Lowes Portofino Bay on site photographers. Check out some of our favorite pics and more from our trip in the video below. Universal Orlando® character dining with some of your favorite theme park characters. 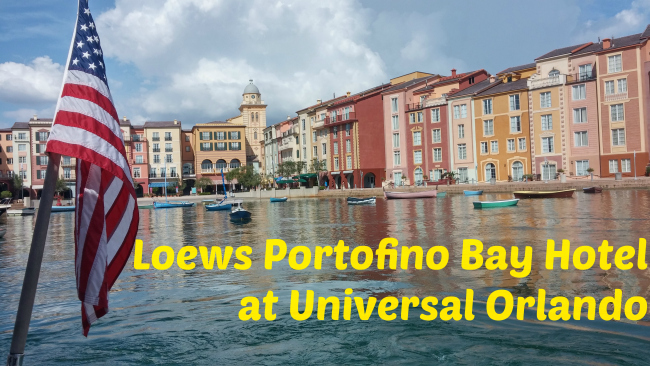 Overall I would say that Loews Portofino Bay at Universal Orlando provides the ambiance that adults will love and accommodations that children can enjoy! We are already making plans for our next visit, maybe we will see you there!